Do you have an insatiable urge to hoard gold and kidnap princesses? You're not crazy, but you are probably part dragon. The only way to find out if you're part dragon is to wear this Red Dragon Costume and head to the party. If you find yourself compelled to steal all the gold and princesses, then you are. If not, then you can party like there's no tomorrow in your cool new outfit. 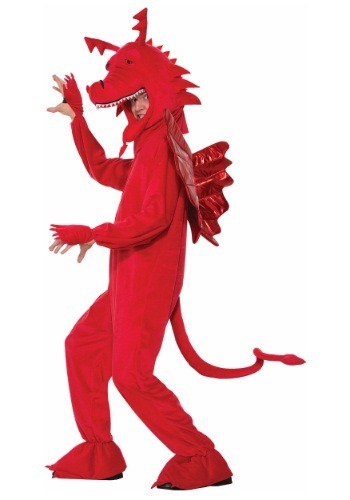 Of course, if you DO turn out to be a dragon, then you will need to wear this costume every day for the rest of your life and you might have to fight a knight or two, but that's a small price to pay when you're a bonafide dragon!